BOSTON — Reinforcing his administration’s commitment to fostering competitiveness and prosperity for small and diverse business owners, Governor Charlie Baker today announced several improvements to the state’s decades-old supplier diversity program, including best practice innovations and updates from the public and private sectors, the first expansion of benchmarks for minority and women-owned businesses in four years, and the first-time certification of veteran, disability and LGBT-owned businesses. The changes to the Commonwealth’s Supplier Diversity Program (SDP) include improvements to the state’s small and diverse business certification and reporting processes and cross-certification partnerships with the City of Boston and nationally-recognized private certification organizations. "Our economy cannot move forward when opportunities for success are not shared equally across the board," said Mayor Martin J. Walsh. "I thank Governor Baker and his administration for expanding opportunities for diverse and small businesses, and I look forward to continuing our efforts on the city level to ensure that economic growth reaches every corner in the City of Boston." A first-in-the-nation LGBT-owned business certification partnership between the state and National Gay and Lesbian Chamber of Commerce’s (NGLCC) fully-accredited, industry-standard certification process recognized and accepted across many Fortune 1000 companies. First-time certification of businesses owned by those with disabilities (Disability-Owned Business Enterprises or “DOBE”), in partnership with the U.S. Business Leadership Network’s (USBLN) nationally-recognized certification program, which will also conduct certifications of service-disabled, veteran-owned business enterprises (SDVOBE). Expanding the certified service-disabled, veteran-owned business enterprises (SDVOBE) category of the Supplier Diversity Program to include all certified veteran-owned business enterprises (VBE), continuing to use the federal VetBiz certification process (and new partnership with the USBLN for the certification of SDVOBEs), at a combined, existing benchmark of 3%. “Expanding supplier diversity efforts to include all veterans affirms Governor Baker’s commitment to the men and women who have served our country and who should be provided access to business opportunities with the Commonwealth,” said Secretary of Veterans’ Services, Francisco A. Ureña. Increasing the benchmark for registered Massachusetts-based small businesses in the Small Business Purchasing Program (SBPP) from 2.5% to 3.3%. Increasing the existing certified minority-owned business enterprises (MBE) benchmark from 6% to 7%, and introducing a partnership with the Greater New England Minority Supplier Development Council (GNEMSDC), whereby the Commonwealth will begin accepting MBE applications approved by GNEMSDC starting on January 1, 2016. Increasing the certified women-owned business enterprises (WBE) benchmark from 12% to 13%, and introducing a partnership with the Center for Women and Enterprise (CWE) to also begin accepting WBE applications approved by CWE on January 1, 2016. Acceptance and promotion of cross-certification with the City of Boston of MBE and WBE applicants on January 1, 2016. The City of Boston is also one of five municipal partners and co-hosts for the Baker-Polito Administration’s recently announced and underway, Supplier Diversity Regional Series. 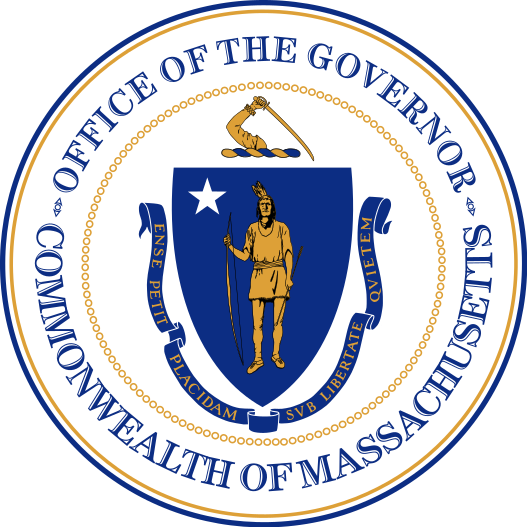 These events led by the Governor’s Office of Access and Opportunity (OAO), Massachusetts Office of Business Development (MOBD), the Operational Services Division (OSD) and OSD’S Supplier Diversity Office are designed to increase engagement and marketplace opportunities for small and diverse business enterprises with procurement officials in state and local government, educational institutions, medical facilities and the private sector. The Baker-Polito Administration’s policy changes and inclusiveness of new supplier diversity categories and partnerships, have also been made effective in a Governor’s Executive Order signed today, reaffirming and expanding the Supplier Diversity Program (SDP). In February, Governor Baker signed Executive Order No. 559, elevating the Office of Access and Opportunity to the Governor’s Office under the direction of a Deputy Chief of Staff to further the administration’s priority of increasing diversity and inclusion within state government employment and procurement. The Executive Order also established a cross-administration Steering Committee for Access and Opportunity to coordinate best practices.